As Constituent & Gift Records Assistant, Kim is responsible for processing charitable gifts given to the university. She also maintains the university’s alumni and donor database, which includes updating address and employment changes and recording deaths, marriages and births. In addition, Kim oversees the Youth Program during Asbury’s Reunion each summer, which she states is her favorite part of working for the university. Kim holds an associate degree in accounting from the National College of Business. Before coming to Asbury, her past career opportunities allowed her to gain several years of experience in data entry and coordinating events. 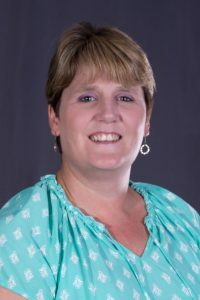 Currently, Kim also works part-time for the University of Kentucky’s athletic program and serves on the counting committee at her church. Kim’s hobbies include traveling, attending concerts, selling jewelry and spending time with her husband, daughter and dog.